Here to help and serve. 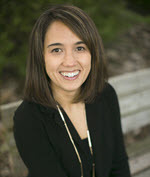 Julie Hutt currently serves as the Director of Internship Programs for the nationals #1 ranked Honors College at the University of South Carolina (USC). She has been a member of the Cooperative Education and Internship Association (CEIA) since 2009 recently serving as the 2015 Conference Chair in Atlanta, GA. Julie continues to be an active member of the organization serving on the site-selection committee and as chair for the regional conference in 2014 hosted by the University of South Carolina. Prior to joining the Honors College, Julie worked for five years as the Assistant Director for Experiential Education in the Career Center at USC overseeing the internship & cooperative education program. A Midwest native and southern transplant she is eager to connect Region III members to better serve our institutions, students and association. Dawn Koeltzow began working at Bradley University in 2006 as the Assistant Director, Experiential Education. 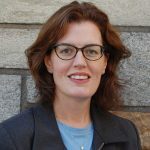 She currently serves as the Director of the Springer Center for Internships and provides overall direction to Bradley's centralized cooperative education and internship program. Dawn leads a team which creates outstanding programs to promote internships and prepare students for success. She oversees the administration of several internship courses and monitors students' learning outcomes. She also serves as a career advisor for first-year students and delivers special programs to encourage student involvement and career exploration. Dawn believes in active participation in professional associations. She has been a member and conference attendee for the Cooperative Education and Internship Association (CEIA). She served as president of the Midwest Cooperative Education and Internship Association (MCEIA) and co-chaired the annual conference in Milwaukee, WI. She also served as president of the Illinois Cooperative Education and Internship Association (ILCEIA) and co-chaired the drive-in conference in Peoria, IL. She has prior experience working for several non-profit organizations, including the Chicago Architecture Foundation, Manchester Family YMCA, Franklin Pierce Law Center, and Manchester Choral Society. Dawn currently serves as a board member for the Peoria Zoo. Dawn earned her Master’s Degree from Bradley University in Leadership in Human Service Administration. She is married to Tim and has two children (Audrey and Walker). Veronica “Ronnie” Porter has been a Coordinator of Cooperative Education at Northeastern University for thirty years. She is a long-standing and active member of the Cooperative Education and Internship Association. She is passionate about Cooperative Education and would be honored and excited to work with the membership and serve as the next Vice President for Region 1. She has worked with students and employers in the colleges of Science, Arts and Sciences, Business Administration and Health Professions. She has received grants from sources including the National Science Foundation, the American Association for the Advancement of Science, and the Department of Education that have funded projects with colleagues in the Colleges of Science, Engineering, and Computer Science and Information Systems. She has served as Group Leader for the Co-op Arts and Sciences unit and as convener of the Co-op Faculty. She teaches the Introduction to College and Professional Development for Cooperative Education courses. She is an expert in Employer Development and manages relationships with over 100 employers including large companies employing 60 to 100 students per year. Veronica served as a research associate in the Center for Labor Market Studies at Northeastern University for several years. Her research areas include outcomes of student learning relative to Cooperative and Experiential Education, employment of college students and graduates with disabilities, and effects of diversity management in the workplace. 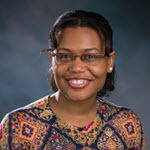 Her work has been published in the International Journal of Diversity in Organizations, Communities and Nations, NASPA, the Journal of Cooperative Education and by the Association on Higher Education and Disability. She has conducted over 60 presentations internationally, nationally and regionally. Cara Inagaki Doyle is the Assistant Director for Employer Relations in the Career Development Center at NC State University in Raleigh, North Carolina. She has over 15 years of experience in higher education, having spent time in admissions, student services and career services. Prior to joining the Employer Relations Team, Cara spent 8 years as a Co-op Coordinator in NC State’s Cooperative Education Program, working with students in the College of Engineering and the College of Management. In her current role, Cara works to cultivate and maintain existing relationships with employers that support experiential learning and employment opportunities for NC State students. In addition, she oversees a number of events to include Industry Networking Nights, Co-op Networking Night, Co-op Job Fair and Women in STEM Symposium. Cara has served as President of the North Carolina Cooperative Education Association (NCCEA), as well as a variety of other roles within NCCEA. She has been a member of CEIA since 2009 and has served as a reviewer for the Cooperative Education Student of the Year Award and most recently has enjoyed serving on the Digital Marketing Committee. Dan Cayse retired as Vice President of Strategic Initiatives & Entrepreneurial Development at Cincinnati State Technical & Community College. Since joining Cincinnati State in 1974, he provided leadership in cooperative education for 36 years. He twice served as Dean of Business Technologies. During his combined 20 years of service as Dean, he made major contributions to his division and the college enhancing and expanding the cooperative education program. As Dean, he was responsible for the academic affairs and co-op program for 24 Associate Degree Programs and 14 Certificates for the Business Technologies Division. Under his leadership, the Business Technologies Division developed a nationally recognized academic and cooperative model that has lead to strategic partnerships with companies such as Walt Disney World, Procter & Gamble and The Kroger Company. Dan has also played a significant role on state, region and national levels. He served as the Cooperative Education and Internship Association President in 1989-1990, as well as two terms as the Vice President of Finance. He rejoined the Cooperative Education and Internship Association Board and served as the 2010-2011 President. Dan is currently the Vice President of Finance. In 2005, CEIA honored Dan as the recipient of the Dean Herman Schneider Educator of the Year Award. On the regional level, Cayse developed the financial reporting system for the Midwest Cooperative Education Association and as a Certified Public Accountant, provided financial audits and non-profit consultation services. He was recognized as MCEIA’s Educator of the Year is 2004. The Ohio Cooperative Education Association elected Dan Cayse to the position of President in 1986 where he expanded state membership and fostered the expansion of an endowment for scholarships and research to maintain itself as one of the largest state co-op associations in the country. OCEA honored Dan Cayse as its Educator of the Year in 1990. 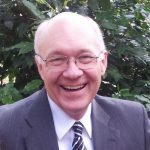 In other professional contributions to cooperative education, Dan has been a consultant for numerous colleges and corporations as well as having made over 200 presentations throughout the United States. Other involvement includes representing the United States in Canadian co-op initiatives, testifying before Congress during the Title VIII funding era and being instrumental with the efforts to bring about the co-op national ad campaign. 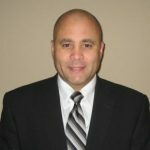 Joseph (Joe) Catrino is the director of career development at Trinity College in Hartford, CT. Joe joined Trinity in 2015 as senior associate director of marketing in the Division of Enrollment and Student Success. He played a critical role in Trinity’s enrollment success and has fundamentally transformed the division’s strategies around marketing, outreach, and strategic communications. In addition, Joe teaches in the first-year seminar program, taking on a faculty advising load of 27 students, mentoring student interns, and working to develop Trinity’s new design thinking initiatives. Prior to joining Trinity College, Catrino spent nine years at Quinnipiac University as the assistant dean for career development in the School of Communications. In this role, he oversaw and managed career development and career advising for more than 1,000 undergraduate and graduate students in the School of Communications. During that time, he successfully increased the student job placement rate from 82% to 92%. One of his key responsibilities was also to manage and supervise the academic component of the School’s internship program. Joe has a long history of teaching, writing, and serving on professional boards. Since 2007, he’s taught at Quinnipiac and the University of Hartford. His course topics range from Social Media to Media Career Development; Personal Branding; Business and Professional Communication; and Sports, Media, and Society. He served on the Board of Directors of the Cooperative Education and Internship Association (CEIA) as vice president of marketing and communications for two years and is a frequent presenter at regional and national career-related conferences. His most recent publication, “A New Approach: How to Prepare Students to Exceed Expectations in Internships” for the Association for Education in Journalism and Mass Communication, highlights his passion for helping students thrive through experiential learning. Joe holds an MBA from Quinnipiac University, an M.A. in communication from the University of Hartford, and a B.A. in history and communications/public relations from Marist College. Sarah Burrows is the Director of Internship Programs and Associate Professor of Communication. Sarah recently earned her Ed.D. from Northeastern University; her Dissertation “Giving and Getting: the Changing Landscape of Unpaid Internships in the U.S.” has recently been published by scholars press. Prior to working at Lasell College, she served as the Internship Program Director and was on the Communications faculty at Simmons College for twelve years. Sarah also has extensive professional experience, including non-profit management, serving as program director and manager for local media outlets and running her own business. In addition to teaching the internship seminar, in both the undergraduate and graduate Communication programs, Sarah is the faculty liaison with the Washington Semester Program through American University. Sarah works closely with all academic departments at Lasell as well as Career Services on placement, programming, and assessment connected with academic internships. Tracey Dowling serves as the Program Director of Experiential Learning at Florida State University's Career Center. An experienced career coach, she delivered career advising and lead programming efforts with Emory University's Goizueta Business School, the University of Georgia, and The University of Virginia – Semester at Sea program. Currently a member of the NACE Leadership Advancement Program’s 2016 Class, she has completed career services trainings including the NSEE Experiential Education Academy, Career Services Institute - West, and the NACE Management Leadership Institute. She is both a proud Blazer, earning a BBA in Marketing from Valdosta State University, and a proud Seminole, earning a MS in Higher Education from the Florida State University. Recruiting Operations Manager, Entrepreneur, Resume Writer, Career Counselor, and Technology Consultant. Janis Ransom is a Recruiting Operations Manager at Foresters Financial Services, Inc., a holistic Financial Services company with offices across the United States, Canada and the United Kingdom. Foresters Financial Services, Inc., has a robust internship program which results in forty percent of its annual full time hires from the Colleges and Universities. Was instrumental in developing the Campus Recruiting program at Foresters, hired and trained all of the Campus Recruiters. Current duties at Foresters involves working in collaboration with corporate management, central recruiting, branch-based recruiters, regional and local branch management to identify national, regional, local recruiting sources, the selection strategies and the technology tools for the hiring of Financial Representatives. 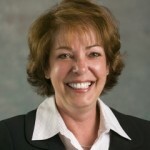 Formerly, Janis was the Managing Director of the Franklin Paterson Company, a provider of Resume Writing and Career Counseling Services, and its subsidiary FPSelectJobs.com a national Job Board. In addition, she was a founding Partner, Bond Technologies: Technology Consulting, large scale Technology Project Sales / Consultant/ and Technology Recruiter. Built a Technology Consulting practice with three partners from four consultants to four hundred Consultants with offices in NY, Chicago, and the UK. She is fundamentally a teacher, techie, and career development specialist with an interest in using technology to enhance the speed and organization of the recruiting process. Janis Ransom is a graduate of the University of Massachusetts Boston. Former Weight Lifter and “drop-out Retiree”. My period of retirement lasted just six weeks before I returned to workforce part-time as a recruiter at Foresters. Started at one day a week, that one day has morphed into my current position as Recruiting Operations Manager. Born in Trinidad, W.I., and lived through the experience of International Student, to US Permanent Resident. Worked and lived all over the United States and Europe as part of my work experience. In the development of my own companies and as an employee of other firms have always hired between forty and sixty percent of new employees directly from the colleges. Former Board member of Roxbury Children’s Services, which at the time was the second largest provider of services to under-privileged children in the Massachusetts. The state Massachusetts was the largest. Dr. Bird received his Ph.D. in Family Studies from Oregon State University in 1990. Previously he obtained a masters degree in Marriage and Family Therapy and a bachelor’s degree in Child Development and Family Relations from Brigham Young University. He also graduated from Ricks College with an associate’s degree. He currently is the Department Chair for the Newly created Apprenticeship and Cooperative Work Experience Department at Linn Benton Community College (LBCC) in Albany Oregon. Dr. Bird has served as the CWE Coordinator at LBCC for the past 3 ½ years. Prior to being the CWE Coordinator he was an instructor at LBCC in the departments of Education/Child Development and Criminal Justice. Dr. Bird was a Counselor for 27 years before joining LBCC, during that time he served as the President of the Oregon Council on Family Relations and served a three-year term as a board member for the Oregon Association of Marriage and Family Therapy. David has received honors for his teaching skills when he was awarded the “Outstanding part time faculty award at LBCC as well as teaching awards at both BYU and OSU. At OSU he was given the “Professor of the Term” award by the honor society. In his role as CWE Coordinator, Dr. Bird has been a member of the Workforce Economic Vitality Committee at LBCC. This committee plays a vital part in developing programs and strategies with local businesses, the local chambers and the college programs to enhance the opportunities for student job placement to meet the demands of the growing workforce. Additionally, he has developed courses for job search and job interviewing skills for education and criminal justice majors. Currently he serves as Co-Director of the annual CTE Signing Day event on campus. This event recruits incoming students for LBCC’s CTE programs which has become a major LBCC activity for the college, bringing in $25,000.00 in scholarships for the upcoming Signing Day in February. During his tenure as CWE Coordinator, Dr. Bird has played a vital role in the college’s growth in both Internships and CWE opportunities. In the past 4 years LBCC has tripled the size of its Welding program, doubled the Machine Tool, Mechatronics, Heavy Diesel Mechanic, Medical Assistant and CADD programs, as well as developed a new Non-Destructive Testing Program. All of these programs require CWE courses for graduation. Besides loving his job and being in a community that is experiencing tremendous growth in manufacturing and medical health occupations, David loves being a grandpa of 7 grandsons and 2 granddaughters! He loves salmon fishing, wood working and even writes a little fiction now and then. 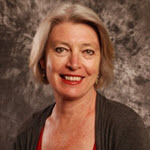 Molly Thompson is currently the Assistant Director of Work-Based Learning for Metropolitan State University of Denver. She has been employed by MSU for six years and specializes in working with students in the sciences and engineering. Molly sits on a variety of academic boards and committees within MSU Denver, including all three Industrial Advisory Boards for the three Engineering Majors, the Carnegie Engaged Institution Committee, the Engineering Co-op Curriculum Development Committee, the NASA Internship Management Application Committee, and the Tri-Institutional Career Day Planning Committee. Molly has an additional six years of experience in higher education as an English professor. In the past, Molly has worked as a job developer for a dislocated workers’ program, where she helped refugees find work and ran trainings on job search techniques for welfare recipients. 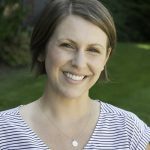 She also has ten years of experience as a community mediator and trainer for the City of Boulder’s Community Mediation Service, including two years on the steering committee of that organization. Molly holds two Master’s degrees in History and English, respectively, and has begun coursework for a PhD in Public Policy. Molly is a published author, an avid gardener, and a news junkie. She has been an active member of CEIA since 2011. As the Executive Director, Co-operative Education, Ross is accountable for meeting and exceeding co-op employment rates for over 21,000 co-op students, while maintaining and enhancing employer relationships with over 6,900 organizations across more than 60 countries. To meet employment targets, Ross oversees co-op best practices and continuous improvement of the co-op experience for students and employers. To ensure academic integration and learning outcomes within the pedagogical model of co-operative education, Ross manages the ongoing faculty, student and campus partnerships. 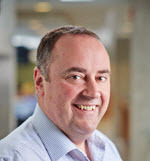 Ross joined the University of Waterloo in 2009 as Director, Employment Relations before becoming the Executive Director in 2017. Previous roles include Director of Attraction & Retention with MTS Allstream, founder of a talent management and career advice consultancy and CIBC Senior Director of Recruitment Operations globally. Prior to living in Canada, Ross was Head of Training & Development for a UK financial institution. Ross has extensive experience in Recruitment, Strategic HR, Sales and Business Development and has an Executive MBA from Bradford University’s School of Management in the UK. Ross has been a regular participant and presenter at CEIA conferences and has been a board member since 2017, where he currently serves as the Vice President, Global Network. He’s also an elected board member of Co-operative Education and Work Integrated Learning (CEWIL) Canada, formerly the Canadian Association for Co-operative Education (CAFCE). In 2018, Ross was named President Elect for Education at Work Ontario (EWO). Kate Darcy Hohenthal, Ed.D. currently serves as the CEIA Region 1 Northeast Vice President. She is leading the Work-Integrated Learning Forum pilot in region 1 in order to establish an annual drive-in workshop, which will provide additional access to work-integrated learning opportunities for members. Kate recently served as an Associate Editor for the re-launch of CEIA’s Experience Magazine. As the Assistant Director of Experiential Education & Student Engagement at the University of Hartford, Kate is the architect of innovative experiential learning initiatives including Pre-1st Semester Internship Onboarding program (prepares students during the summer before they begin college); the i-team and Internship Satellite Office Outreach (student peer learning model at several campus locations); and Work-Integrated Learning Opportunities Resume Boot Camps (with 450% increase in employer participation over a three-year period). With 14 years of employer experience, Kate brings a business focus to her higher education partnerships; she utilizes a Return on Investment approach for CEIA program proposals. Kate taps into her employer partnerships through her Vice President of College Relations and Internships Board role with Staffing Management Association and collaborations with Eastern Association of Colleges and Employers (EACE). Lynne Hickle joined the CEIA Board as the Region 2 Vice President in January of 2016. Lynne is the Executive Director of Co-operative Education in the Steinbright Career Development Center at Drexel University. In her role as the Executive Director, she manages the co-op team and provides leadership and direction to the co-op program. The Co-op program at Drexel is about 100 years old. It supports approximately 6,000 students annually secure co-op opportunities and manages relationships with nearly 2,000 employers. Prior to her current role as Executive Director, she was the Associate Dean for Student Services in the College of Computing & Informatics at Drexel University where she led a team of staff that supported the recruiting, admissions, advising and registration services for the College. She has 20+ years of experience in higher education administration and is a recognized leader. Lynne’s background in academics and current role in cooperative education gives her a unique perspective on work integrated learning. She looks forward to contributing to the CEIA organization and supporting its Region 2 members. Makesha H. Dockery is committed to helping individuals in transition develop the skills needed to move forward in their life and career. As an educator, she uses her expertise in advising students to empower individuals in the various levels of their career pursuits. 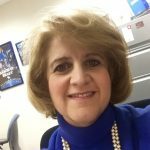 In her current role as a Coordinator, Cooperative Education and Internships at Georgia State University she works with college students to prepare them to take on experiences and discover or uncover their purpose. Within this role, she has assisted with brainstorming the ideas needed to develop HACK GSU and partnered with Metro Atlanta Chamber of Commerce to host a small business and start-up job fair for Georgia State University students and alumni to expand the awareness of internship and co-op experiences at this level. Additionally when Makesha is not working her day job; she is still seeking ways to be a positive difference maker by inspiring, motivating and encouraging individuals, youth and professionals. Some community projects include partnerships to speak and teach for Society of Human Resource Managers (SHRM)-youth job readiness programs, City of Atlanta- Office of the Mayor (Summer Youth Program), Georgia State University- Trio Programs, Junior Achievement and various other community organization’s youth, career and workforce development initiatives. Makesha is a United Way V.I.P (volunteer investment program) graduate, a selective leadership development program for community members aspiring to serve as a member for a non-profit boards. Recently, her involvement in Women In Technology, also known as WIT Campus helped to expand internship and career development opportunities for female students who have an interest in STEM related careers especially technology. As a result of her ground work, WIT Campus has been able to formalize a campus organization specifically for Georgia State University students. She has been actively involved in CEIA since 2013 and was elected as Region 3-State Representative, Georgia. If afforded the opportunity to serve as Regional 3 Vice President, she desires to expand opportunities and create a broader awareness for students to recognize the importance of experiential learning in career development and for advancement potential in the marketplace. Kelly Harper is a co-op coordinator and tenured faculty member at Cincinnati State Technical and Community College. She has been a member of the CEIA Board since 2011 serving in the roles of conference chair and Vice President of Marketing and Membership. 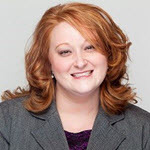 Prior to this, she has played an active role including President of both the Ohio Cooperative Education Association (OCEA) and the Midwest Cooperative Education and Internship Association (MCEIA). Kelly has been in the field of Cooperative Education for over 15 years working for both Northern Kentucky University and Cincinnati State. Her work has focused on higher education and workforce development. Her areas of specialty include career development, employer recruiting and hiring of talent for co-ops, internships, full-time and part-time employment. Kelly Harper has also been actively engaged in quality assurance programs on campus including participation in Academic Quality Improvement Program (AQIP) systems portfolio review and Continuous Quality Improvement Program (CQIN) focusing on organizational sustainability. Kelly graduated with an undergraduate degree in International Studies and History and obtained a Master’s degree in Public Administration from Northern Kentucky University. In her time away from work, you can find Kelly with her husband Derick and two children Sara (a junior in high school) and London (a 7th grader.) They reside in northern Kentucky. 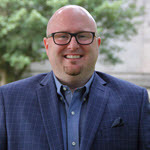 Andrew Harper is a recent past president of the Texas Cooperative Education & Internship Association and currently serves as the Local Arrangements Chair for the Southern Association of Colleges & Employers Annual Conference. He has also completed the Management Leadership Institute and Leadership Advancement Program through the National Association of Colleges & Employers. Andrew has worked with career, employer relations and experiential education programs for more than 10 years in the positions of Internship Coordinator and Manager of Employer Relations at St. Edward’s University and as Career Services Advisor at the Le Cordon Bleu College of Culinary Arts campus in Austin. In addition, he has taught U.S. History courses for St. Edward’s University and Austin Community College. Dr. Meghan Stidd is the Assistant Dean of External Relations for the University of Colorado Colorado Springs (UCCS) College of Business where she oversees employer relations, career development, internships, alumni relations, and marketing initiatives. Meghan is the main point of contact for any individuals or organizations wanting to engage with the College. Meghan is currently leading the development of a required career development curriculum for all undergraduate College of Business students, which will include a mandatory experiential learning component. In her former role, Meghan served as the Program Director for the College of Business Career Development Center where she managed the College of Business Internship Program and assisted organizations interested in recruiting students for internships and full-time positions. During her two-year term, Meghan increased student participation in the College of Business internship program by nearly 30%, established new partnerships with over 100 employers, and identified the need for, created, and implemented a 2000 level internship course enabling students to earn academic credit for internship experiences earlier in their degree programs. Prior to her positions at UCCS, Meghan served as a program director, associate regional director, and regional director of the Mountain Pacific Troops to Teachers program, spanning over 14 years. In her last position as regional director, Meghan led a twelve state region devoted to assisting military veterans during their transition to civilian careers as public school teachers. Through strategic partnerships and improved operating procedures, Meghan increased the number of Troops to Teachers students hired within the region by 48%, resulting in the most successful year of regional operations in program history. Meghan has been involved with CEIA since 2016. 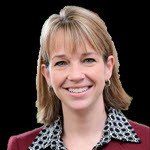 For the past year, Meghan served as the Colorado State Representative and as a member of the Research Committee. Meghan has also contributed to the CEIA Blog and has presented at the past two CEIA annual conferences. In addition to CEIA activities, Meghan has conducted multiple conference presentations and published articles focused on best practices regarding internships, interviewing, and professional development programming. Meghan also collaborates with the Daniels Fund Ethics Initiative at UCCS to lead workshops and facilitate trainings on integrating ethics into internship and career development programs. Rebecca Pettitt currently serves as a Career Advisor and Internship Coordinator at the University of Puget Sound in Tacoma, Washington. She received her M.S. Ed. in Adult and Higher Education from Northern Illinois University and BA in Finance from Washington State University. She carries experience at large state universities such as UCLA, smaller state institutions such as University of Washington Tacoma, and currently serves at a small private liberal arts college. Along with her work in career development, Rebecca brings over 10 years’ experience across higher education from residence life, academic advising, student activities, and admissions. She is passionate about helping each student reach their highest potential. Rebecca brings enthusiasm for connecting practitioners and employers within Region 7 and providing a space to share best practices in cooperative education, internship development, employer relations, recruiting practices, experiential learning initiatives, and bringing equity and inclusion to the forefront of our practice. Patricia Bazrod is Director of Employer Relations in the Center for Career Discovery and Development (C2D2) at the Georgia Institute of Technology. She has over thirty years of experience in career services and cooperative education and internships. In 2015 she was honored to be elected as a Fellow to the American Society for Engineering Education. She began her co-op career as an engineering co-op coordinator in the College of Engineering and Applied Sciences at Arizona State University. In Cooperative Education, Patricia has made numerous presentations and conducted workshops on the state, regional, national and international level. Since 1990, Ms. Bazrod, has been a member of the Cooperative Education and Internship Association (CEIA) and has served as President, Vice-President of the Cooperative Education Network, and is currently serving as the Past President of the organization. 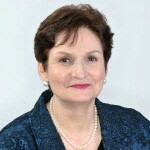 Since 1984, Ms. Bazrod has been a member of the Cooperative Experiential Education Division (CEED) of the American Society for Engineering Education (ASEE), where she has served as Chairman, Program Chair, Secretary-Treasurer, Chair-Elect, and on the Executive Board as that national professional organization’s Archivist. She has served on the ASEE Board of Directors as the PIC V Chair and has had various leadership roles for the annual Conference for Industry and Education Collaboration (CIEC) including General Conference Chair. Ms. Bazrod has also served as President and Conference Chair for state cooperative education organizations. 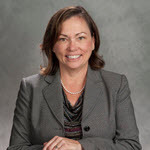 She is also a member of the National Association of Colleges and Employers (NACE) and the Southern Association of Colleges and Employers (SoACE), and the World Association for Cooperative Education (WACE). She is the recipient of the CED 2005 Borman Award for outstanding service to the field of cooperative education and has served as a trainer and program reviewer for the Accreditation Council for Cooperative Education. (ACCE). David Caffo is the Director of Work-Integrated Learning at Wilmington University and has over 7 years of experience in higher education. He was charged with the task of developing a new cooperative education (co-op) department for the University in 2010. He has work at length with students and employers in a variety of disciplines cultivating experiential learning experiences. While building a new program, David has advised students, worked with employers to develop opportunities, and has worked diligently to incorporate real world experiences into the academic curriculum utilizing co-op as a course modality. Recently, the Cooperative Education Department has changed to the Office of Work-Integrated Learning and is now the Universities one stop shop for internships, cooperative education, and service-learning experiences. Prior to coming to Wilmington University, David was Regional Vice President with Pacific Life were his major responsibilities were to establish relationships with financial advisors, cultivate business development programs, and provided extensive marketing support to producing brokers, including: seminars, client appreciation events, case development support, and the implementation of various sales ideas. 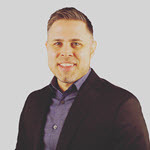 David earned his Master’s degree in Marketing Management from Wilmington University and his Bachelor’s degree in Consumer Economics from University of Delaware and is currently a doctoral candidate at Wilmington University. Michael J. Sharp is the Director of the Center for Service Learning and Civic Engagement at the University of Cincinnati, which is housed in the Division of Professional Practice and Experiential Learning (ProPEL). He is an assistant professor of Experiential Learning, is coordinating a Service Learning and Civic Engagement Certificate and accompanying Service Learning courses at the university. He created and is helping to lead a novel approach to service learning called the Service learning Collaboratory where in students learn how not-for-profit organizations can use for-profit approaches to raise resources and awareness. His research interests revolve around servant leadership in higher education, social enterprise approaches to service pedagogies, spiritual dimensions to teaching and learning, experiential pedagogy, service learning, and the scholarship of engagement, specifically looking for ways that community, students, and universities can build mutually nourishing and sustainable relationships. Michael is currently pursuing a doctorate in Urban Educational Leadership at the University of Cincinnati and is working on a dissertation focused on the importance of "critical pedagogy" created through campus-community partnerships. As a professional hobby, Michael is co-hosting the Tapioca Radio Show, an internet radio program and podcast that spotlights unique work in the world of experiential learning. You can review a list of Michael's publications, presentations, and teaching experiences by visiting his ePortfolio. At Cincinnati State Technical and Community College, Peggy Harrier is a former Dean of Business where she supervised a mandatory co-op component for 20 majors. She also had management responsibilities for 50 fulltime faculty and 200 adjunct instructors. Peggy was also a Chair of the Business Technologies Division, where she had management responsibilities for the Management, Marketing and Real Estate programs and coordinated a mandatory co-op component for students. Cincinnati State College maintained the largest co-op program among two-year schools in the US and remained in the top ten of all co-op programs in the country for over 25 years. Having worked as a co-op coordinator early in her career at the college, she was a tenured faculty member teaching Business Law, Ethics, Co-op Seminar and Professional Practices. As a licensed Real Estate Broker, Peggy had experience in both industry and education. She earned a BA degree from St. Mary's College, Notre Dame, Indiana, as well as a Master of Education degree from Xavier University. She retired from Cincinnati State College in 2013 and was associated with the college for over 30 years. Peggy joined the CEIA Board in 2000 where she has served the Association as a board member for the past 18 years. Accomplishments to note include, preparing and distributing national state of the profession surveys, leading the reorganization efforts for the Journal of Cooperative Education and Internships, serving as President 2004-05 and chairing two conferences, including co-chairing the 2006 centennial celebration. She was instrumental in securing a collaborative agreement for the production of the Journal of Cooperative Education and Internships with WACE, NCCE and CAFCE. She also initiated strategic partnerships with WACE and NCCE for projects being conducted in the field and has assisted CEIA with the development of an interactive website. 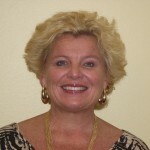 Peggy is a CEIA Academy trainer, specializing in quality improvement processes. CEIA honored Peggy with the Dean Herman Schneider Award in 2009. David is an Associate Director with the Springer Center for Internships within the Smith Career Center at Bradley University in Peoria, Illinois. He received his bachelor’s degree in communications with an emphasis in public relations from Bradley and is pursuing a Master of Arts in Nonprofit Leadership, also from Bradley. Prior to joining the staff in the Smith Career Center, David worked in communications and marketing for a nation-wide nonprofit. 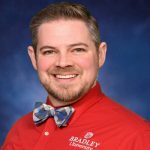 Currently, David leads a team focusing on career program and resource development centered on perspective and first-year students at Bradley. He also oversees the team which plans and coordinates each of the university’s annual job and internship fairs. Additionally, David serves as a career advisor for first-year students and develops special programs with a focus on increasing student involvement and career exploration. He also works in employer relations and as part of the team to promote co-ops and internships.